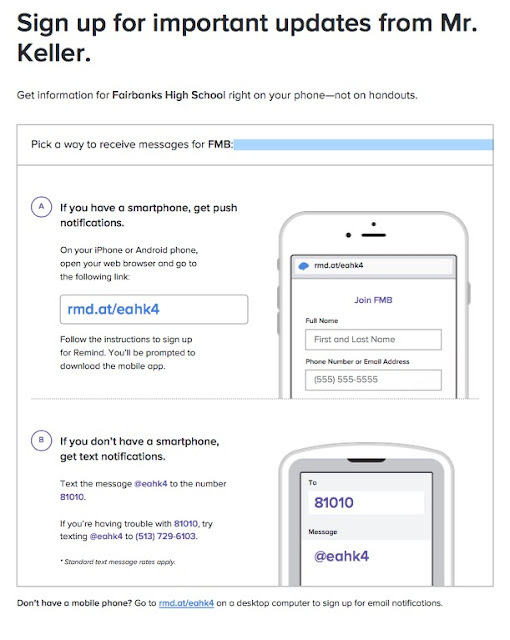 We are introducing a new way to stay in the loop with FMB information. 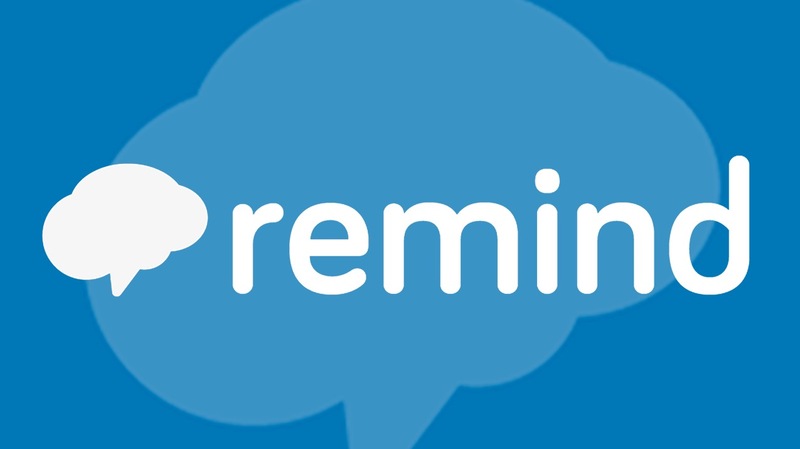 A Remind account has been created for Fairbanks Marching Band members, parents, and anyone who needs all the updates and details about our group. This is an attempt to de-clutter the Twitter feed and to make sure that important FMB information gets delivered promptly and directly to those members that need it. Updates will include schedule changes, uniform reminders, bus arrival times, contest results, and other pertinent and prompt information. You can sign up using your smart phone, non-smart phone text updates, or email updates. 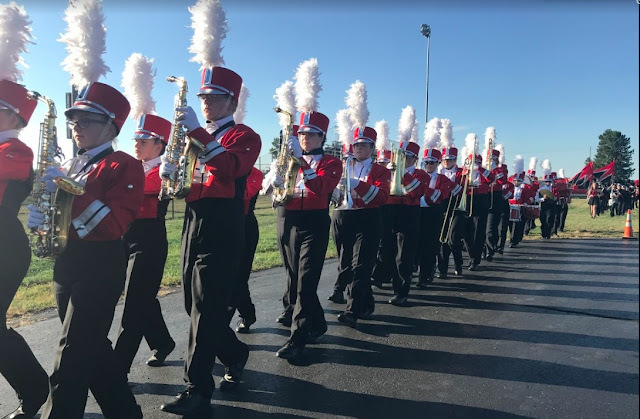 The @faibanksband Twitter account will still be very active, but will focus on information and pictures aimed at a department-wide audience. Everyone is expected to use the app responsibly. Inappropriate comments or behavior will be subject to band and school discipline. Your personal phone number or email will not be visible to anyone so your privacy is protected in that manner. All message threads are archived and searchable if any issues arise. I will send out a test message on April 4 to make sure everyone is getting updates.